Roca Negra Hotel & Spa Canary Islands in Agaete Gran Canaria. This 4 star Canary Islands Hotel, has a swimming pool. Prices from 79 EUR. Welcome to the Roca Negra Hotel & Spa Canary Islands.Roca Negra Hotel & Spa in Agaete has sea views and offers free Wi-Fi, swimming pool and a well-equipped spa. The rooms have private terraces and air conditioning. All of the Roca Negra Rooms have a seating area and a safe. For more on this 4 star Canary Islands Hotel please click on the availability buttons above and below. 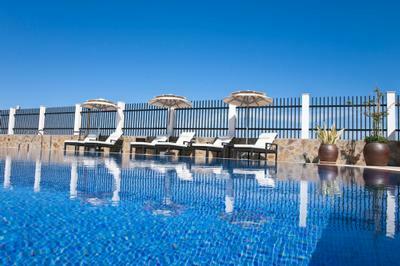 The Roca Negra Hotel & Spa provides excellent Hotel Accommodation in Agaete Gran Canaria, Canary Islands, Spain. The address is Avenida Alfredo Kraus, 42 - Urbanizacion El Turman , Agaete , 35480.